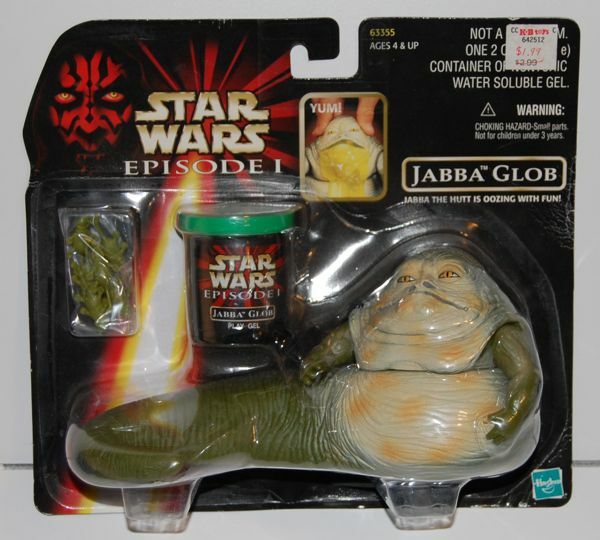 It comes with a can of green goo and a number of plastic “froggies” that you put into Jabba’s head. 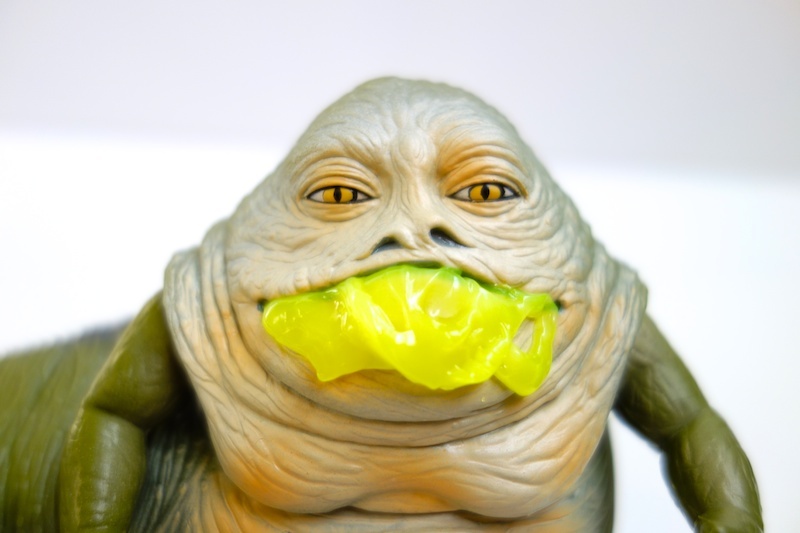 When you squeeze the head, the goo and froggies are supposed to come out of the slit in Jabba’s mouth. 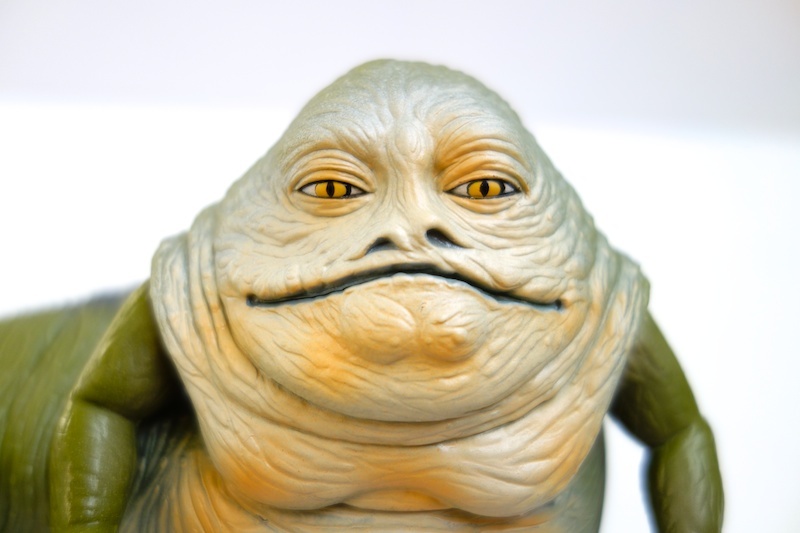 I guess you could say it’s in the “gross out” genre of toys. 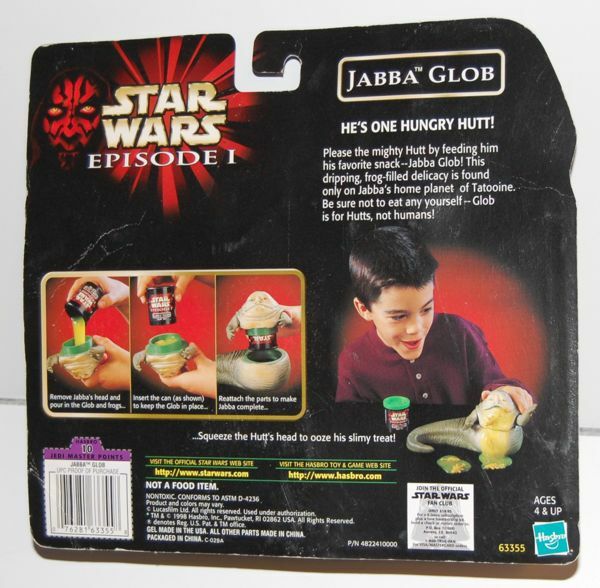 While I get that Jabba is a disgusting character in some ways, I don’t really understand how they arrived at this concept, since there aren’t really any scenes of Jabba vomiting slime in the movies. My slime hasn’t completely dried out, but it is a lot less runny than it used to be (at least judging by the picture on the back of the package). 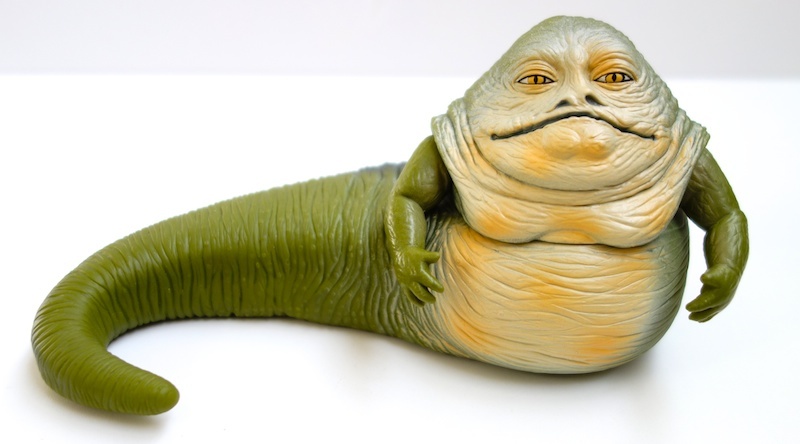 The sculpt isn’t bad, but I think it’s based on the Episode One Jabba, which I don’t care for that much compared to the Return of the Jedi version. It’s also very green, which throws the whole likeness off in my opinion. 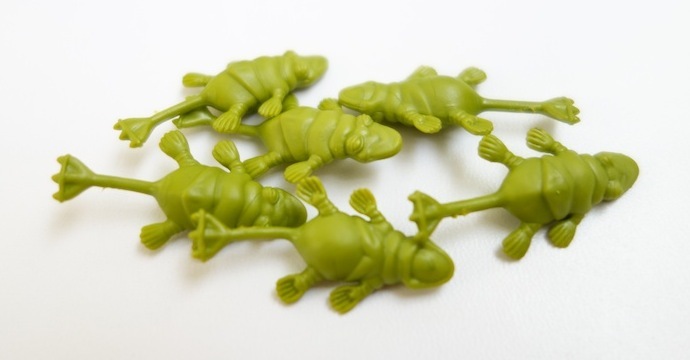 Here are the little froggies. EDIT: Here’s a YouTube video I made giving an overview of the figure.